Southeast view of the Arts Block. The Green Line Arts Center is pictured left. The University announced Friday that it will be opening a new arts center on Garfield Boulevard in Washington Park as part of the ongoing Arts Block project. 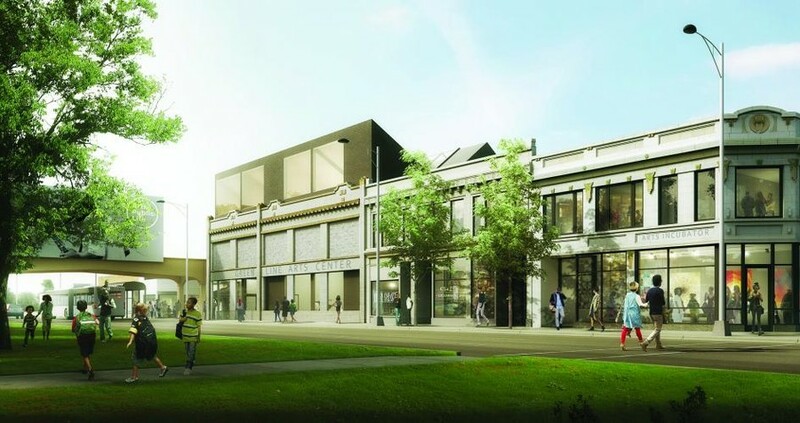 Theaster Gates, director of the University’s Arts and Public Life program, told the Chicago Tribune that the University hopes to raise $8 million from private donors to build the Green Line Arts Center, which will serve as a hub for music, dance, theater, and film. 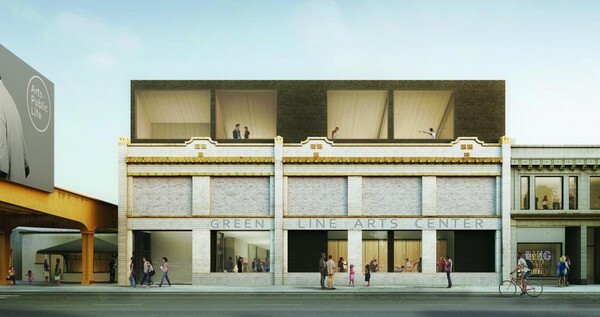 “The Green Line Arts Center is a bit of an innovation—artists who are interested in cinema, theater, and dance will have a space where they can workshop and incubate their ambitious projects,” Gates said in a video statement promoting the new project. In addition to his work with the University, Gates is the founder of the Rebuild Foundation, a nonprofit that transforms vacant buildings into cultural and artistic hubs in the Greater Grand Crossing area. In April, President Zimmer said in an interview with The Maroon that he wanted to see more philanthropy to further develop the Arts Block. “The goal is ultimately to go through the whole block, and take everything there, redo it,” he said. He added that he wanted to see a space for African American–oriented theater companies on the block. The Arts Center will be located at 317 East Garfield Boulevard, a block west of the Garfield Green Line stop. The Center was designed by the Los Angeles–based architecture firm Johnston Marklee. The architects hope to preserve the historical nature of the location, which was a jazz club in the 1920s. The Arts Block project began as an attempt to draw attention to the rich cultural scene of Chicago’s South Side, and to provide community members with resources to make their artistic presence known. It consists of the Arts Incubator, which was opened by the University in 2013, as well as the Currency Exchange Cafe and BING Art Books, two businesses privately owned by Gates. The Arts Incubator hosts a number of concerts, talks, and classes to engage members of the community, from young children to seniors. It also sponsors artist-in-residence programs for creators it feels represent the creativity of the city. “It’s encouraging people to start paying attention to Washington Park again,” Torrey Barrett, director of the nearby KLEO Community Family Life Center, said of the project in a video released by Arts and Public Life. These developments come prior to the announcement expected this summer regarding the location of the Obama Presidential Library. Currently, the two leading options are Washington and Jackson Park. In an interview with the Tribune, Alderman Pat Dowell noted that the expansion of designated arts and culture spaces could present "a reason for the Obamas to see Washington Park as a viable option for the library." The University is still in the process of collecting donations to fund the Green Line Arts Center. A more detailed timeline of the implementation process will not be released until sufficient funds are gathered.